The Ukrainian state-owned fuel and energy firm Naftohaz Ukrayiny said on 28 February that Russia’s Gazprom would have to pay it $2.56bn after a Stockholm court found in Naftohaz’s favour in the final stage of a long-running legal battle, Reuters has reported. The latest ruling in Stockholm, which concludes the legal dispute, centred on Naftohaz’s claims that it was owed compensation for Gazprom not pumping a certain volume of gas per year via Ukraine and paying too little for what it did send through Naftohaz pipelines. “Naftohaz was awarded damages of $4.63bn for Gazprom’s failure to deliver the agreed transit gas volumes,” Naftohaz spokeswoman Olena Osmolovska said. There was no immediate comment from Gazprom. Since the court previously ordered Naftohaz to pay Gazprom for gas supply arrears, the net payment Gazprom will have to make to Ukraine is $2.56bn, Osmolovska said. 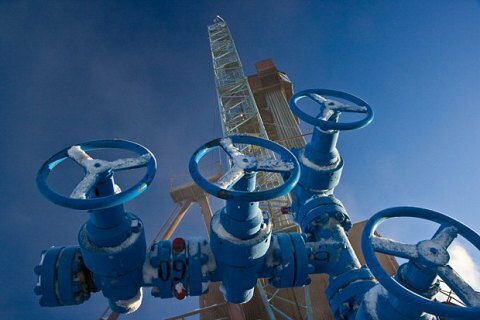 In previous rulings, the court denied Gazprom’s claim linked to a "take-or-pay" clause that required buyers to pay for gas whether they take physical delivery or not, and found in Naftohaz’s favour in terms of pricing. But it also ordered Naftohaz to pay $2bn to Gazprom for the gas arrears and ruled that it should buy 5bn cu.m. of gas from Gazprom annually from 2018.